ALDETRUDIS (ADELTRUDIS), the daughter of SS. Vincent Madelgarus (20th September) and Waldetrudis (9th April). St. Aldetrudis joined her Aunt St. Aldegund of Maubeuge (30th January) at Maubeuge Abbey. There she was given the obedience of caring for her Aunt. following St. Aldegund’s repose in 684, St. Aldetrudis was made Abbess, and served as the second Abbess until her repose in 696. 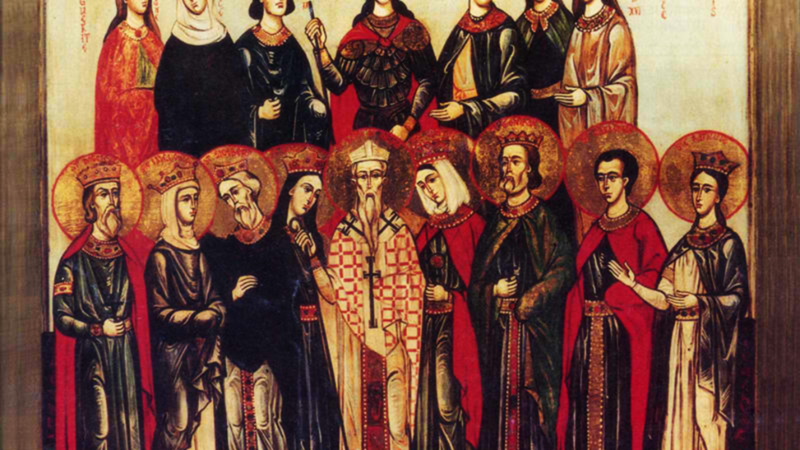 DONATUS, JUSTUS, HERENA, and COMPANIONS, (Third Century), members of a group martyred in North Africa during the Decian Persecution. FELIX III (II), forty-eighth Pope of Rome from 483 until his repose in 492. Most sources, including the Annuario Pontificio , list him as Felix III, though there is no Felix II list. Felix II was an Antipope installed following the banishment of Pope St. Liberius by the Roman Emperor. St. Felix set the stage for the reconciling the Church and those who had embraced the heresy of Eutychianism. He also drafted conditions for the readmittance to the Church for those North Africans who had apostatized during the Vandal persecutions. VICTOR, a monk at St. Gall, who spent his later years as a hermit in the Vosges Mountains in Lorraine where he reposed in 995. WALBURG (WALBURGA), daughter of King St. Richard (7th February) and sister of SS. Willibald (7th July) and Winnebald (18th December). St. Walburg received monastic tonsure at Wimborne Abbey in Dorset in England where she was a disciple of St. Tetta (28th September). She later joined the mission of SS. Lioba (28th September) and Boniface (5th June) to evangelise the tribes of present-day Germany. 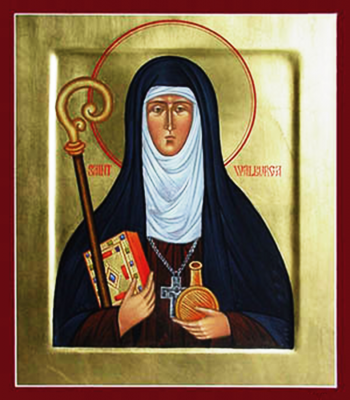 St. Walburg later served as Abbess of the double monastery of Heidenheim am Hahnenkamm in Bavaria until her repose in 779.